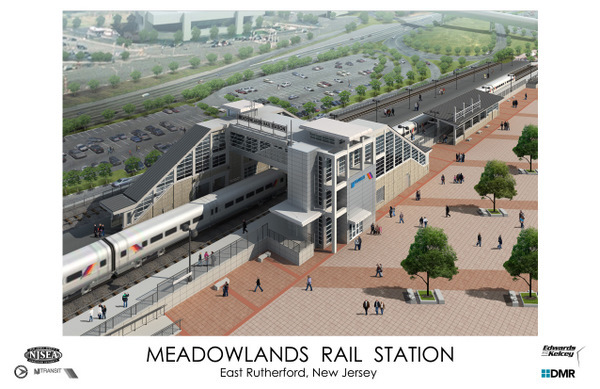 As part of its 40th anniversary celebration, the Meadowlands Commission has put together an entertaining slide show and talk about the Meadowlands' past, present and future. We hope to present the free show in all 14 Meadowlands towns by year's end. The show, presented by the Meadowlands Commission's Jim Wright, features plenty of archival shots, some neat aerials — and some great shots from this blog. Jim will give the talk and slide show tomorrow night at the Kearny Public Library. For this presentation, he has included several photos of Kearny from the blog. He'll also show a few very short and entertaining nature videos. The show is at 6:30 p.m. and should run under an hour. The library is at 318 Kearny Avenue. Questions? E-mail Jim here. We will post future talks as they are announced. The Meadowlands Commission is honoring Black History Month with a weekly post on this blog. Today the topic is Gethsemane Cemetery in Little Ferry. Gethsemane Cemetery is located on an acre on a sandy hill just off Route 46 and Liberty Street. 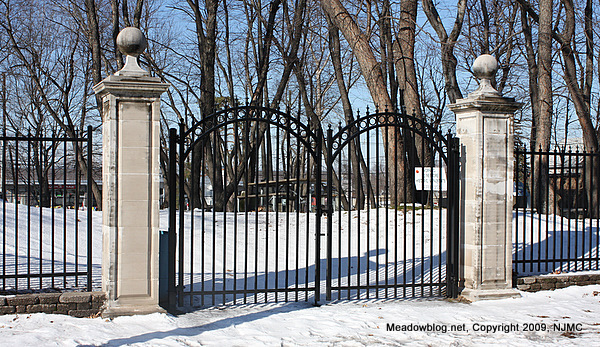 The photo above is a view of the cemetery's entrance on Summit Place. 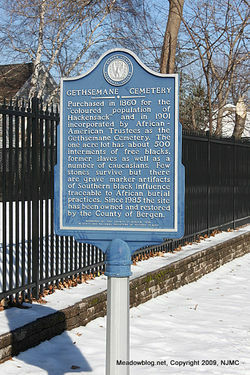 It was set aside in 1860 as a burial ground for African-American residents of nearby Hackensack. The last burial took place in 1924. The site was entered onto the National Register of Historic Places in 1994 "because of the significant role it played in the enactment of New Jersey’s early civil rights legislation, as well as containing evidence of West African burial customs," according to the Bergen County Division of Historical and Cultural Affairs. The county has been doing a major restoration of the cemetery, and it is currently closed to the public. Self-guided tours will be available when the work is completed. According to the agency, "Fewer than 50 gravestones remain, but the burials of more than 500 people have been documented. 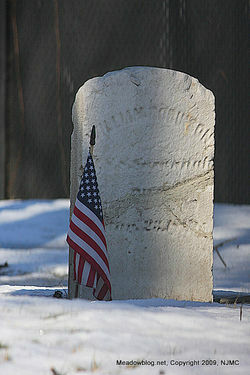 "Two Civil War veterans, Peter Billings and Silas M. Carpenter, were also buried here." More on the cemetery here. Click "Continue reading …" to learn more about the cemetery's role in early civil-rights legislation.